The Orchestra di Roma has risen to prominence in the Italian music world due in large part to the importance and number of soundtracks we have recorded and the prestige and distinction of the composers, directors, and clients with whom we’ve worked. We have performed and continue to with dozens of composers. 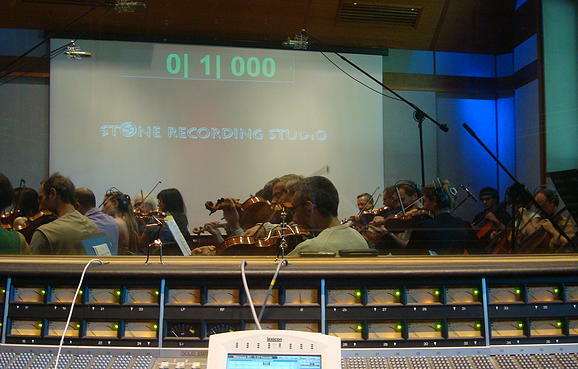 Ennio Morricone, Luis Bacalov and Nicola Piovani rely on us regularly to execute their compositions. And we have recorded the original soundtracks of two Oscar-winning films: Luis Bacalov’s “Il Postino” and Nicola Piovani’s “La Vita è bella”. We’ve recorded soundtracks for film directors like Roberto Benigni, Giuseppe Tornatore, Adrian Lyne, Brian De Palma, and Oliver Stone. And we’ve recorded and performed with Sting, Andrea Bocelli, Charlie Haden, and Elton John. Lastly, our clients include major corporations such as Universal Music, Decca, Metro Goldwyn Mayer, Dreamworks, Warner Bros, 20th Century Fox, Sony and EMI.